Hey they can't all stand on their heads to get a lovely flush in their cheeks for every photo like the savage Jodi Arias. I had the time wrong the hearing is over and it was not streamed. ... looks like she didn't want to attend the hearing for a 3rd time. Holloway argued with Clark County District Court Judge David Barker, said she didn’t trust the public defenders handling her case, and muttered to herself while Barker declared her unfit. The judge noted that one doctor found Holloway wasn’t competent, and she refused a second evaluation. Ooh her lawyer told judge she told court ordered Mental Health evaluator GFY so now it's inpatient and she's evaluated whether she cooperates or not. Typically those don't work out well for defendants which is why our jails are full of certified nuts locked in cells. Interesting tidbit...in the 1950's SJW claimed it was inhumane to 'incarcerate' the mentally ill in asylums then fought to defund facilities in the 1970's then sued to close the ones that remained open. SMH every time I see a homeless person who'd praise the locked wards with outside rec areas if they could stay longer than 72 hours on a criminal process psych hold. This happened a year ago today. Still NO news on her court status only two news articles about it being the one year anniversary. She's been in a mental facility being "evaluated" since October. What a shame for the victims and their families. LAS VEGAS (KSNV) — The woman accused of running over dozens of people as they walked along the Las Vegas Strip, has been found competent to continue on to the next phase of the case. Lakeisha Holloway was transferred out of jail and over to a mental health facility last month for treatment. Almost a year later, doctors say she is mentally fit to face the 71 charges against her. The case will begin moving forward right away. She is expected back in court on Feb. 15. I'd be suffering from paranoid delusions too, if I had 71 counts against me. A woman who is accused of plowing her car into a crowd of pedestrians on the Las Vegas Strip in December 2015 returned to court Wednesday after a mental evaluation determined she is competent to stand trial. Lakeisha Holloway, 25, appeared in Las Vegas Justice Court and waived her right to a preliminary hearing. Deputy Public Defender Joseph Abood said Wednesday that he expects her to enter not guilty pleas. He says Holloway is mentally ill and is taking medication. She plead "not guilty" on Friday. No court dates, only short articles in three news stories. LAS VEGAS (FOX5) - A February 2018 trial date was set Monday for a woman accused of driving up onto a sidewalk and intentionally hitting people on the Las Vegas Strip. Her trial is scheduled to begin on Feb. 5, 2018. Earlier this month, Holloway was found mentally competent to stand trial after nearly a year committed at Lakes Crossing maximum security psychiatric facility. Holloway then pleaded not guilty in the case. Her Jury Trial is now scheduled for August 27, 2018. Thought I'd check to see how the trial is going. This is a bunch of BS. 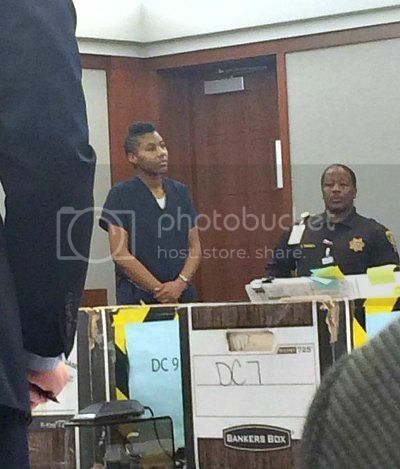 LAS VEGAS (FOX5) - Lakeisha Holloway’s trial has been pushed back. It was supposed to start at the end of Aug., but Holloway’s defense team asked the judge for more time. She faces 71 counts including murder for plowing through crowds and killing one person on the Strip in 2015. Chief deputy public defender Joseph Abood said Holloway is in such a fragile emotional state, they haven’t been able to present her all of the evidence yet. Holloway stood quietly in court on Thursday morning during a status check. Holloway was scheduled to be back in court on Sept. 12. Abood said he hopes to set a trial date at that time. Abood added Holloway’s toddler, who was in the back seat of the car at the time of the crash, is living with her biological father out of the country.